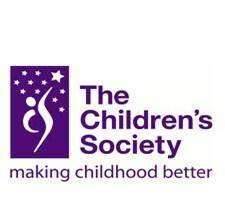 Canterbury Christian Schools Work Trust will be hosting A Good Childhood Conversation in response to the challenging findings of The Good Childhood® Inquiry at Canterbury Baptist Church (small room), 7.30pm-9.30pm on 21st November 2011. All interested members of the local church community are invited to attend and get involved in the debate to discuss how we can make childhood better in our city. The evening will also contain a short presentation of how CCSWT is looking to partner with churches through mentoring in schools. Commissioned by The Children’s Society, The Good Childhood® Inquiry is the first independent inquiry into what makes a good childhood in the UK. It involved over 30,000 people (including nearly 18,000 children) and investigated what conditions are necessary for a good childhood, what obstacles exist to those conditions and what changes we can make in order to improve the current situation. Based on the challenging findings of The Good Childhood® Inquiry, A Good Childhood Conversation aims to stimulate conversation and debate in communities, to encourage everyone to work together to make childhood better in their area. The Good Childhood Conversations, like the one being held by CCSWT, are being planned around the country to bring the national debate to a local level and give everyone the opportunity to get involved. Childhood today is more complicated than ever before. Modern society offers more opportunities and material wealth than for previous generations but many young people also face a range of issues such as obesity, anxiety, broken homes, peer pressure, stress from school and exams; alcohol and bullying. Holding A Good Childhood Conversation is a fantastic way for our community to get together, discuss the local issues and talk about some positive solutions to make childhood better for all the children and young people in the local area. We invite you to come along, get involved and help us keep the conversation going.